Penny here! 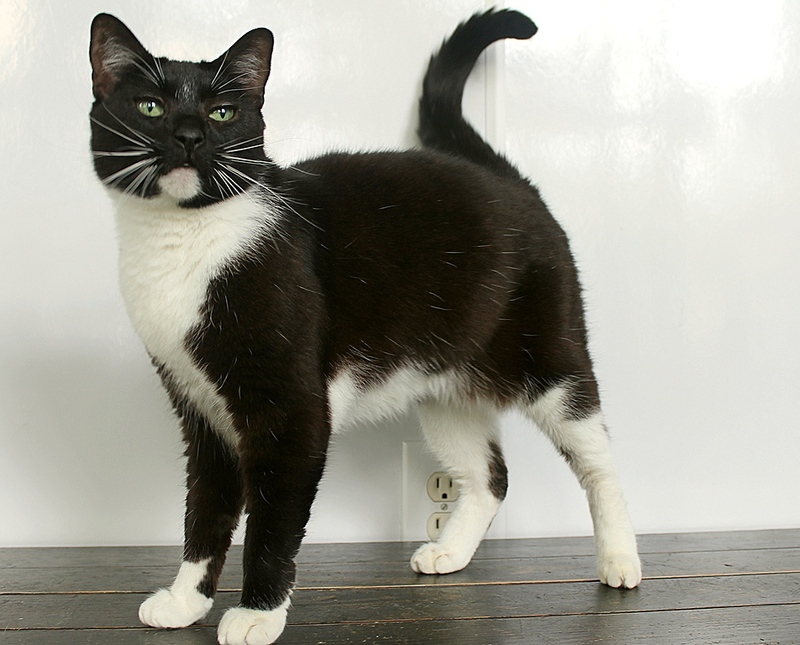 I’m a playful and curious 6-year-old tuxedo kitty that is ready to meet my new family! Even though I’m technically out of kittenhood, I have a lot of kitten-like qualities — I really enjoy playtime and am a very good-natured spirit that doesn’t mind being handled and pet. I’m a big climber and you can usually find me up high, observing the world or napping in the sunshine. People are one of my favorite things, and I’m very friendly and snuggly with my person when I’m comfortable. I’ve lived around other cats and am very comfortable around them as long as they are gentle with me. I would be a great, respectful companion for an older kitty who has lost a friend or who isn’t as used to other cats around. Of course, I’d love to be your one-and-only, too, and I have no problem with the indoor apratment lifestyle, as that’s what I grew up with. 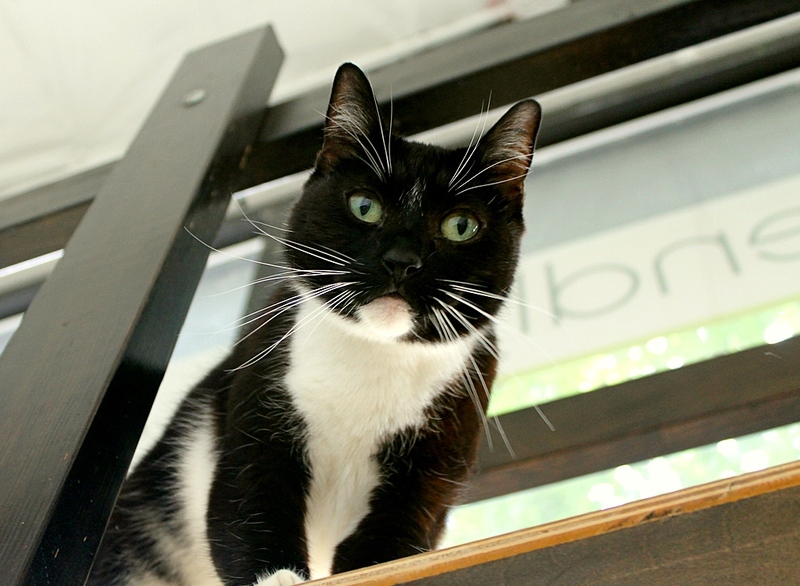 Are you looking for a new kitty companion for your condo? Looking for love in the feline form? I’d love to meet you! I’m currently living at the Petco Unleashed on NW 23rd & Burnside, so stop by to say hello today! I come to you fixed, vaccinated, and micro-chipped for an adoption fee of $100.